As the year ends, a new era begins for the University of Memphis basketball program. The 18th-ranked Tigers traveled to Tampa and beat the South Florida Bulls in the U of M's first American Athletic Conference game. (Memphis and USF spent ten years together in Conference USA before the Bulls left for the Big East in 2005.) The game was the centerpiece of a nationally televised triple-header featuring members of the American, including recent national champions Connecticut (2011) and Louisville (2013). The Tigers and Bulls exchanged the lead seven times over the game's first seven minutes before Memphis pulled away. Michael Dixon came off the bench and hit consecutive three-pointers to give the Tigers a 28-14 lead with 7:25 to play before halftime. The Tigers were still leading by 14 when senior guard Joe Jackson flew through the lane for a breathtaking dunk just before the halftime buzzer. Jackson finished the contest with 18 points despite his playing time being limited by foul trouble (he picked up his second 12 minutes into the game). A Chris Crawford three-pointer extended the lead to 21 (60-39) with just over 14 minutes to play and the Tigers cruised the rest of the way. Geron Johnson paced the Tigers in scoring with 19 points, while Dixon added 18. Shaq Goodwin was limited to five points but pulled down nine rebounds, while senior center David Pellom came off the bench for 10 points and seven boards. John Egbunu led the Bulls (now 9-5) with 20 points and 14 rebounds. As a team, USF shot 42.3 percent from the field but missed all nine of their three-point attempts. Memphis shot 51.6 percent and hit eight treys. The Tigers (now 10-2) return to action Saturday when they host Cincinnati in an early game (11 a.m. tip-off) at FedExForum. The game will be a renewal — after five years — of the third-longest series in the Tiger record book. (Only Southern Miss and Louisville have played Memphis more often than the Bearcats' 67 games.) The teams last played on December 29, 2008, a 60-45 Tiger win. One more reason to welcome the new year with some gratitude for the American Athletic Conference. Jim Valvano would have liked this one. In a top-20 battle to cap off the Jimmy V Classic at Madison Square Garden in New York, the 15th-ranked Tigers and 16-ranked Florida Gators played the kind of basketball we're accustomed to seeing in late March, a game of counter-punches and alternating scoring runs that came down to a final-possession drive, shot, and miss from Memphis guard Joe Jackson. Having fallen behind 69-61 after an 11-3 Gator run, the Tigers fought back over the game's final five minutes, keyed by a three-pointer from Chris Crawford and six of seven free throws converted by Jackson and Shaq Goodwin. 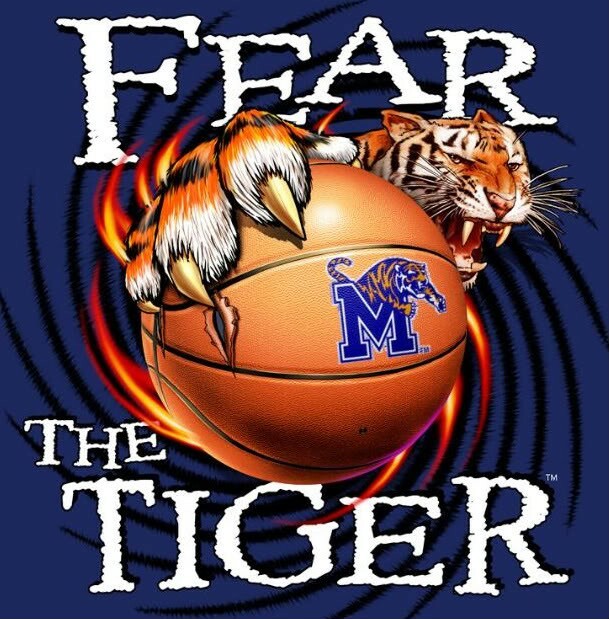 Florida's Dorian Finney-Smith and Scottie Wilbekin each missed the first of one-and-one at the foul line, allowing the Tigers a final chance to tie the game after a timeout by Memphis coach Josh Pastner with 10.8 seconds remaining. Jackson took the inbound pass near the top of the key, penetrated and attempted a shot off the left side of the backboard. The attempt appeared to be deflected, though, bouncing near midcourt where Michael Dixon heaved a desperation attempt as time expired. The loss drops the Tigers' record to 7-2, while the Gators improve to 8-2. Senior transfer David Pellom was the story of the first half for the Tigers when he (10 points) and Dixon (9) combined for half the Tigers' points as Florida led 41-38 at the break. Senior guard Geron Johnson scored the Tigers' first six points of the second half (on his way to 13 for the game). The Tigers had things tied at 58 with 10:20 to play, only to see the Gators score the next six points. Casey Prather led the way for Florida with with 22 points, while Finney-Smith added 14 off the bench. Johnson was one of five Tigers to score in double figures, along with Pellom (12), Dixon (10), Jackson (17), and Chris Crawford (12). All four of Crawford's field goals came from three-point range. The Gators all but shut down the Memphis big men, holding Goodwin and Austin Nichols to a combined three field goals and 11 points. The Tigers shot 50-percent for the game, while the Gators hit on 51-percent of their 55 shots from the field. The Gators hit seven three-pointers (to the Tigers' six) and made 14 free throws (one fewer than Memphis). It was that close. The Tigers return to FedExForum for their next two games, this Saturday against Southeast Missouri, then on December 28th against Jackson State. The 16th-ranked team in the country survived a scare against the Trojans of Arkansas-Little Rock tonight at FedExForum. The Tigers trailed by seven (31-24) at halftime, and were still behind with under nine minutes to play in the game before rallying for their sixth consecutive win. 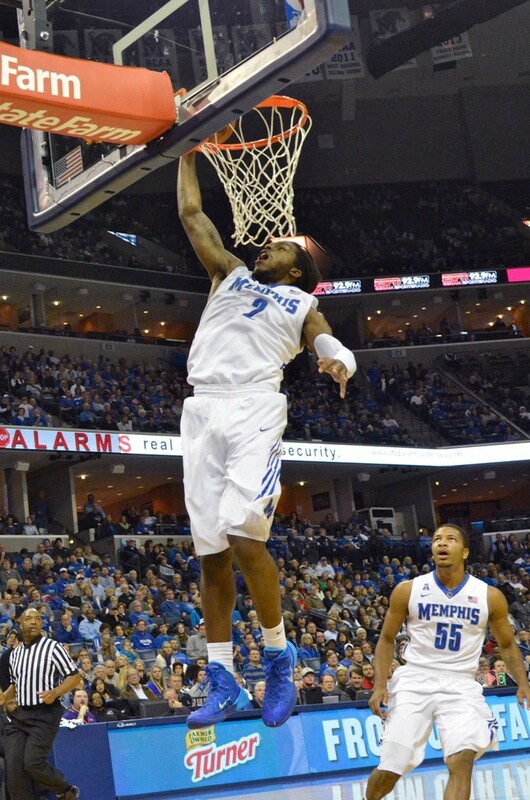 Joe Jackson and Shaq Goodwin led Memphis with 17 points, Goodwin adding a team-high nine rebounds. Geron Johnson added 13 points and Chris Crawford (nursing a sore right ankle) scored nine points to become the program's 49th member of the 1,000-point club. The Tigers turned the ball over 14 times (while picking up only 16 assists), but forced UALR into 17 turnovers. Shooting was ugly on both sides, Memphis hitting 39 percent of its shots while the Trojans were merely 36 percent from the field. The win sets up a showdown next Tuesday in Madison Square Garden between the Tigers (7-1) and the 19th-ranked Florida Gators. Memphis will be seeking its second win over a top-20 program this month, having upset 5th-ranked Oklahoma State on December 1st. 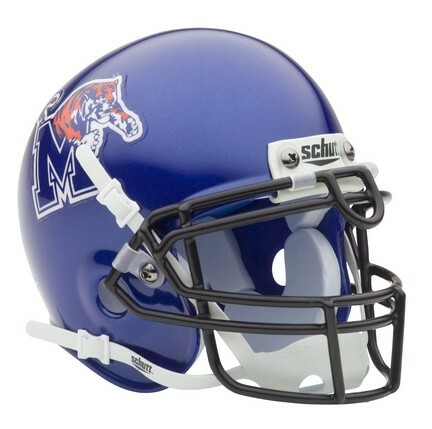 The University of Memphis football team just completed its sixth straight losing season (3-9). But was it a bad season? In simple terms, yes. Any losing season is a bad season, particularly the way this one ended. Let’s consider the campaign a little deeper, with a few points of consideration for a long offseason. • First, the numbers (I’ll stick with per-game averages). The Tigers were outscored 24.6 points to 19.5 (compared with 30.2 to 24.4 in 2012). The Tigers gained an average of 311.5 yards and surrendered 370.7 (last year the respective figures were 318.3 and 383.6). The defense improved, if only marginally, while the offense regressed. Hard to measure overall progress from these stats. And there’s just no hiding what happened the last two weeks against Temple and Connecticut, bottom feeders in the American Athletic Conference. In giving up a combined 1,072 yards to the Owls and Huskies, the Memphis defense fell from a ranking of 16th in the country to 40th. • Few positions in sports are measured by the performance of others like that of offensive linemen. If a running back is able to regularly break into the defensive backfield, offensive linemen are doing their jobs well. If a quarterback is able to camp in the pocket for four or five seconds, offensive linemen are doing their jobs well. There were not a lot of lengthy runs from Tiger tailbacks this season, and quarterback Paxton Lynch did more running than he or his head coach planned last August. Chewing on these observations, the Tiger offensive linemen did not do their jobs all that well in 2013. Two of them being seniors (Antonio Foster and Chris Scheutz), the line will take new shape in 2014. It really has to. And holdovers like Taylor Fallin and Nykiren Wellington must improve or turn their duties over to others. Boiled right down, football is a simple game. The team that consistently gets a push at the line of scrimmage wins. That team was rarely the Memphis Tigers this fall. • Is Paxton Lynch The Guy? The redshirt freshman threw a pretty ball when he was able to load up and fire downfield (all too rarely). And he was far more nimble a runner than most 6’7” signal-callers. He was durable, never missing a start and absorbing plenty of contact. I would have liked to see measurable improvement from Lynch over the 12-game season, and I’m not sure we did. He surpassed 200 yards in passing only twice all season (matching Jacob Karam’s total of a year ago). For the season, Lynch completed 58.2 percent of his passes for 2,056 yards, with nine touchdowns and 10 interceptions. As a redshirt freshman in 2001, Danny Wimprine completed 52 percent of his passes for 1,329 yards, with 14 touchdowns and four interceptions. (The Tigers finished 5-6.) 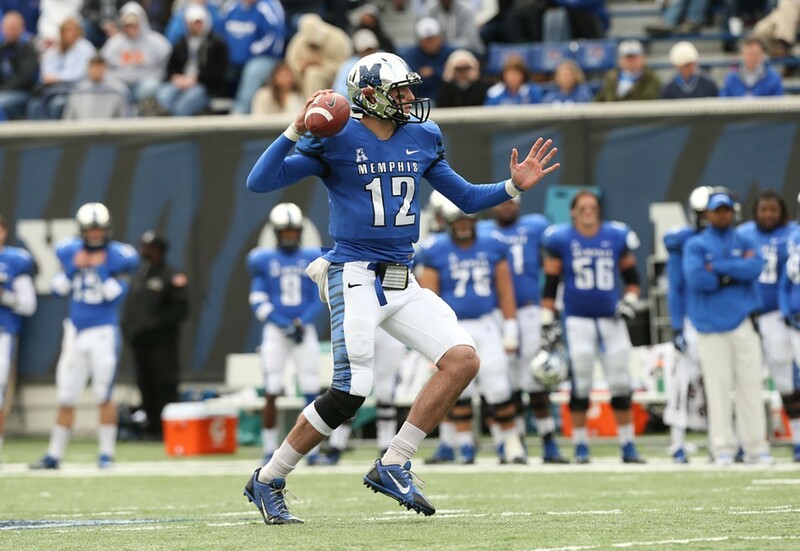 The next three seasons, Wimprine passed for more yardage — in each season — than any previous Memphis quarterback. That’s your bar, Paxton. • The Tigers played their toughest schedule in some time, and without an SEC opponent. Duke, Louisville, and UCF each won at least 10 games. The three beat Memphis by a total of four touchdowns. Which makes ugly losses to Temple and SMU all the more painful. The Tigers were three or four plays — and several penalties, let’s remember — from a five- or six-win season. But they also lost to Temple by 20 points. And UConn by 35. Make of this jumble what you will. • The Tigers have not had a first-team all-conference player since Jamon Hughes was honored by Conference USA after the 2010 season. That will surely change later this week, with punter Tom Hornsey — a finalist for the Ray Guy Award — due a salute from the American. Had Bobby McCain stayed healthy, he may have joined Hornsey. And it will be interesting to see what kind of support defensive end Martin Ifedi receives. The junior pass rusher had 8.5 sacks in the Tigers’ first seven games, but only three more over the last five. • Looking at attendance figures (tickets sold), the Tigers averaged 28,537 for their seven home games this season, compared with 24,371 last year (and 20,078 in 2011, Larry Porter’s last year as head coach). That’s significant and measurable growth, though still less than half the capacity at cavernous Liberty Bowl Memorial Stadium. The season’s largest crowd attended the opener (44,237) while the smallest turned out for the SMU game on October 19th (16,241). Keep this in mind: Since the Liberty Bowl became their home in 1965, the Tigers have averaged 40,000 fans (two-thirds capacity) exactly three times: 1976, 2003, 2004. I don’t know what the solution is for this program’s long-term health, but I know a stadium with (at least) 20,000 empty seats is not part of it. It was a bad season, and I hand down such judgment entirely based on the beatings Memphis took in its last two games. Having seen the Tigers compete so fiercely against the American’s top two teams (UCF and Louisville), who saw the drubbings against Temple and UConn coming? Had the Tigers not suffered fourth-quarter heartbreak against the Knights, and had they cut their penalties (15 for 145 yards) in half and beaten Middle Tennessee, we’re reviewing a 5-7 season, a victory shy of bowl eligibility. That same record could have been achieved, though, by beating Temple and UConn. The Memphis Tigers will land on the schedule of American foes next fall as a winnable game, no matter the opponent. It’s hard to feel emboldened by any traces of progress this fall. It's hard to imagine a more dispiriting finish to the University of Memphis football season. Memphis gained only 257 yards, with quarterback Paxton Lynch completing less than half his passes (18 of 37) for 169 yards and a touchdown pass to Keiwone Malone after the outcome had been decided. Brandon Hayes rushed for 33 yards on 11 carries. The loss leaves the 3-9 Tigers in last place in the American Athletic Conference, their league record of 1-7 equal to that of Temple. The U of M went 4-8 in coach Justin Fuente's first season a year ago. A long offseason — with lots of questions — begins tomorrow. Check back on Monday for some final thoughts (and a stab or two at answers to those questions) on the Tigers' football season. No letdown this afternoon at FedExForum. Six days after upsetting the 5th-ranked Oklahoma State Cowboys, the Tigers returned to their home floor and made easy work of the Demons, a team favored to win the Southland Conference. By the time Geron Johnson and Chris Crawford hit back-to-back three-pointers — just over 11 minutes into the game — the Tigers had taken control with a 31-18 lead. Despite losing Crawford for the second half to an ankle injury (his status was not fully known after the game), Memphis cruised to its sixth victory of the season, shooting 54-percent from the field and piling up 27 assists on 37 made field goals. "We did a better job [rebounding] in the second half, holding them to three offensive boards," said Tiger coach Josh Pastner. "And we took away the three [Northwestern State shot 16-percent from long distance]." The rebirth of Shaq Goodwin continues, the sophomore forward scoring a career-high 21 points (on 8-of-11 shooting) and grabbing six rebounds as a follow-up to his MVP performance at last week's Old Spice Classic in Orlando. "We're trusting the process," said Goodwin. "If we came out today and laid an egg, what we did last week wouldn't matter. So we followed that game plan." Goodwin acknowledged his continued growth (through his ever-present smile), but shared credit with his new partner in the low post. "I feel like I'm a little more aggressive at both ends of the floor, and I have Austin [Nichols] to complement me, so that helps. I'm staying active on both sides." Also active for the Tigers was senior guard Joe Jackson, who hit six of 11 field-goal attempts and five of six free throws to score 18 points, while also dishing out five assists. (Jackson hit his 400th career free throw, becoming just the sixth Tiger to reach that mark and the first since Elliot Perry in 1990. He also surpassed 1,300 points for his career, climbing to 17th on the U of M chart.) "We played some good defense early," said Jackson. "When we do that — no matter where we play — everything else takes care of itself. We moved the ball, got a lot of transition buckets." Johnson came off the bench for Memphis, a mild punishment for what Pastner described as a minor "internal issue." The senior scored nine points and led the team with seven assists and six rebounds in 26 minutes. Fellow guard Michael Dixon joined Jackson and Goodwin in double figures with 14 points on six-of-nine shooting. Jalan West led six Demons in double figures with 15 points off the bench. NSU falls to 3-4 on the season. Pastner was appreciative of the crowd [15,605] on an atypically cold day in early December. "They were phenomenal, considering the conditions. I'm told about 2,300 fans took advantage of the free tickets. That's what makes this the best fan base in the country." The 16th-ranked Tigers (6-1) return to the floor next Friday when they host Arkansas-Little Rock. Senior guard Chris Crawford could well become the Memphis program's 49th member of the 1,000-point club Saturday when the Tigers host Northwestern State. The pride of Sheffield High School needs 13 points to join teammate Joe Jackson (and 23 other native Memphians) north of four figures on the school's scoring chart. Dwight Boyd and Vincent Askew played three seasons together (1984-85 thru 1986-87) and each scored 1,000 points, but Askew was off to the NBA for the 1987-88 season. Chris Douglas-Roberts scored 1,545 points with the Tigers and joined the program the same year Dozier and Anderson did (2005). But CDR entered the NBA draft after his junior season (2007-08). The most famous pair of teammates in Memphis Tiger history — Larry Finch and Ronnie Robinson — are each members of the 1,000-point club, of course, but freshmen were not eligible when the Melrose duo enrolled in 1969. Considering they were teammates on the freshman team for the 1969-70 season, they make this list on a technicality. • The Temple game was a dud, and considerably so. It was the first game under second-year coach Justin Fuente in which the Tigers seemed to take a step back. They weren’t prepared to play a very beatable Temple team . . . and on Senior Day. The U of M gave up 534 yards (their most allowed this season) against an Owl team that entered the game averaging 387. Worse, the Tiger offense managed only 228 yards (its fewest this season) against a defense surrendering an average of 497. Fuente recognized the sorry play for what it was. He was curt, if apologetic, during a five-minute postgame press conference. At Monday’s press luncheon, he said, “One thing people may say in our short time here is our kids have played really hard. We haven’t always played with great intelligence or really well, but our kids have played really hard, and we cannot lose that.” Message: the Tigers didn’t play hard enough last Saturday. Fuente insisted the only players traveling to Connecticut this weekend will be those ready to compete, to fight. I’d expect a significant boost in energy level when Memphis takes the field at UConn, however cold it may be. • A casual observation about the Memphis offense: It does not attack the middle of the field. At least not with the passing game. Among Paxton Lynch’s 29 passes in the Temple game, I counted one that traveled ten yards down the field and between the yardage numbers. (It was an ill-advised throw to Sam Craft, who was covered by three Owls. Luckily fell incomplete.) It seems the Memphis passing game is crafted toward quick releases to the flanks, or longer attempts down the sideline. What are the sidelines if not another pair of defenders? I’d like to believe there are more opportunities for the likes of Joe Craig, Keiwone Malone, and Alan Cross across the middle, where space can be found beyond a defense’s front seven. Fuente and offensive coordinator Darrell Dickey have forgotten more about passing the football than I’ll ever know. But I wonder if there’s a significant blind spot, be it with Lynch or the passing scheme as it currently exists. • I miss the Black-and-Blue Game. For only the second time since 1952, the Tigers will not face Southern Miss on the gridiron. And this is a loss for Tiger football. The Golden Eagles have fallen on hard times (1-11 this season) and the Tigers are in a better league for the future of the football program. But regional rivalries in college football still count for a lot. Among the Tigers’ new conference foes, find that rival. After Louisville leaves for the ACC next season, the only American team in a neighboring state will be new arrival East Carolina, whose campus sits merely 830 miles from Memphis. Tulsa and Tulane join the American next year, too. Tiger football rivals? Come on. Memphis will play the latest regular-season game in its history this Saturday at UConn. Tigers and Huskies in December . . . gets the heart pumping for basketball, no? Twelve days after getting undressed by All-America guard Marcus Smart and the Oklahoma State Cowboys, the Tigers erased a 10-point halftime deficit and earned Josh Pastner his first win over a top-20 team as coach at Memphis. The victory is the program's first over a top-10 team since a win over UCLA at the 2008 Final Four. After scoring a career-high 39 points in the teams' first meeting, Smart was held to 12 (on 4-of-13 shooting) tonight. With the U of M up 71-68 and less than 20 seconds to play, Tiger guard Geron Johnson forced a Smart turnover. Joe Jackson was intentionally fouled and made both free throws with 11.9 seconds left to clinch the win. Jackson didn't score in the first half and was limited to 3-of-10 shooting from the field, but the senior from White Station High School hit five of six free throws and tied Shaq Goodwin for the team lead with eight rebounds. Memphis trailed 47-39 not quite three minutes into the second half, then surged on an 11-1 run keyed by driving layups from Chris Crawford, birthday-boy Michael Dixon (on a goal-tending call), and Goodwin. After being limited to 21 combined points in the November 19th loss against OSU, the Tigers' quartet of senior guards combined for 45 to help earn Memphis the Old Spice Classic championship. Goodwin led the Tigers with 17 points, with Crawford adding 16, Dixon 12, and Jackson 11. The win improves the Tigers' record to 5-1 and ensures their ranking will improve from 21, while the Cowboys suffered their first loss in eight games this season. The Tigers seemed to play with a collective will from the outset, taking a 5-0 lead to start the game, and holding the advantage over the game's first 11 minutes. (Twelve minutes into their earlier matchup with the Cowboys, Memphis trailed 31-20.) Oklahoma State went on a 9-0 run to grab the lead before halftime, only to see the Tigers score the first seven points of the second half to stay in the contest. Some losses (like the one to Oklahoma State on November 19th) linger. And some wins (like the one today over Oklahoma State) establish a new track for a long season. Ask Josh Pastner and he'd call it a course correction. At least until the next game. 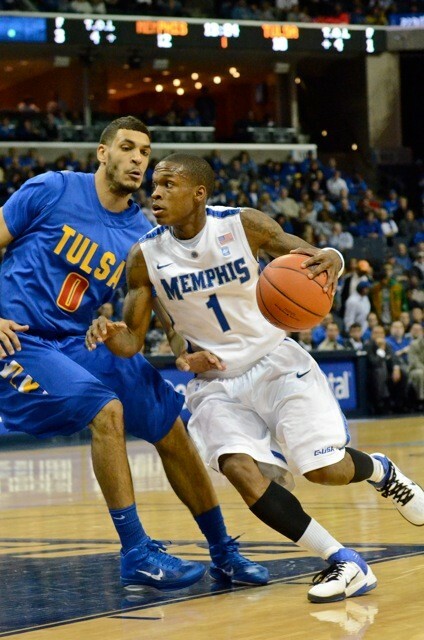 The Tigers return to FedExForum to host Northwestern State on December 7th.